This morning I sat in the recliner by the window, under a lamp, and spent some time (the best time) in the Word of God, reading Ephesians and a Charles Spurgeon devotional, Evening and Morning. As I was reading, the children were quietly buzzing about, playing and fighting a little, too (over toys). I was blessed by Sarah’s face as she sat back and looked at the pink plastic necklace she put around my neck, her eyes were adorably thoughtful and considering. I thought about the Holy Spirit and how God moves like wind, blowing life into dead hearts, stirring them up to begin to think of him, a miracle of soul-work. A man shared his salvation story in church on Sunday and broke down as he told us the sacred memory of the desire he heard in his mind for the very first time “READ THE BIBLE, READ THE BIBLE” until he finally obeyed and went to the mall to find one, and buy it. The Word was like a dagger into his heart, telling him clearly who he was, and what he needed, which was Jesus Christ to save and comfort him, to take his burdens away and give him rest, finally rest, for his weary soul. I read this morning Spurgeon’s words to the sinking Christian, and how we find our refuge in the humble act of PRAYER. Oh what a comfort to simply go to Him with all our troubles, knowing that He hears and helps in such amazing ways. If only we had eyes to see all that He truly does for His own loved and cherished children. 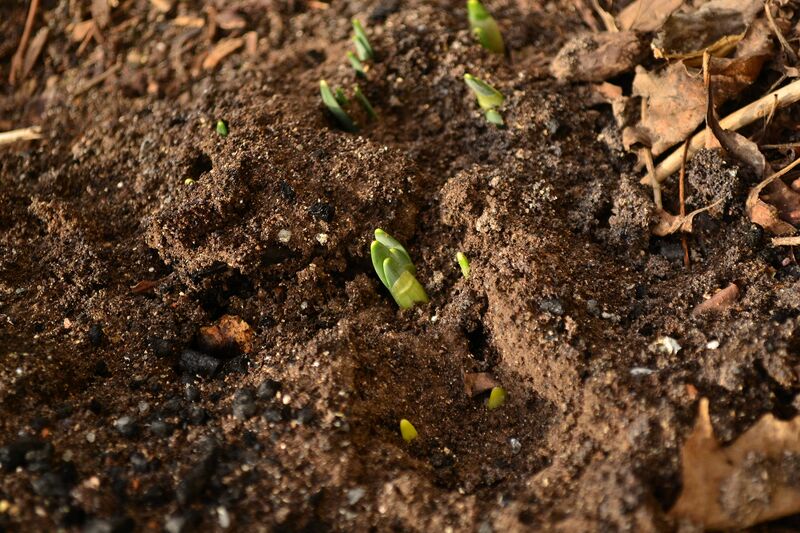 It seems so strange to have flowers coming up in a “hot spot” in the flower beds. They do this every year in January and it’s amazing to see how they get covered in snow again, and frozen, but still come up and blossom prettily in the spring. 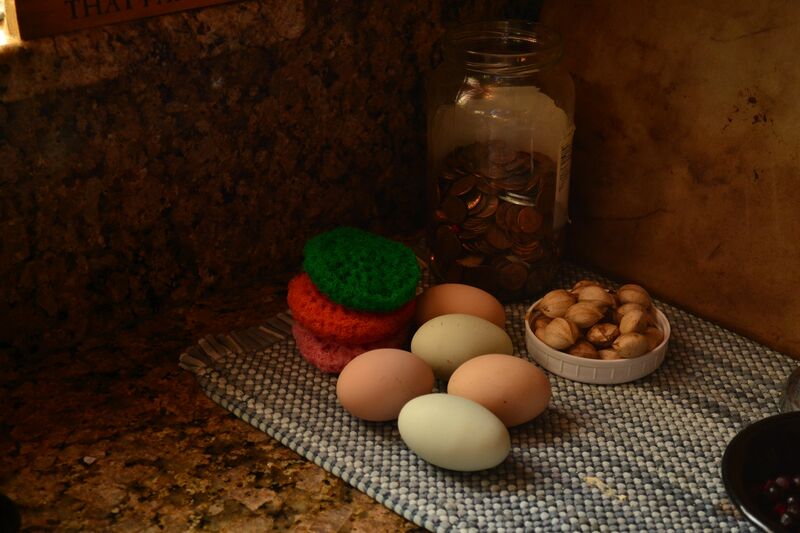 The chickens had a happy couple of days with milder temperatures and laid a few extra eggs for us. I took a freshly baked berry cobbler to our Bible study brunch yesterday. Recipe here. 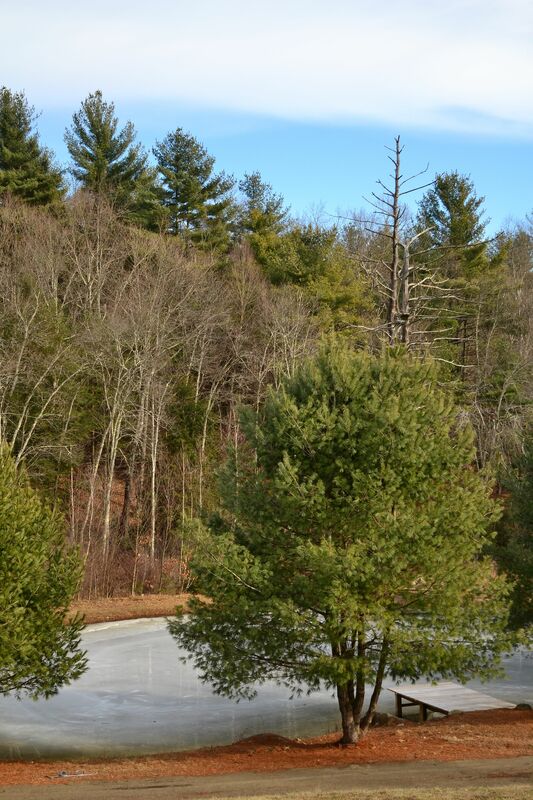 I just love the look of ice on the pond. We have another rainy day today but it was nice to see a peek of the blue sky yesterday. And a big huge pot of homemade chicken noodle soup. 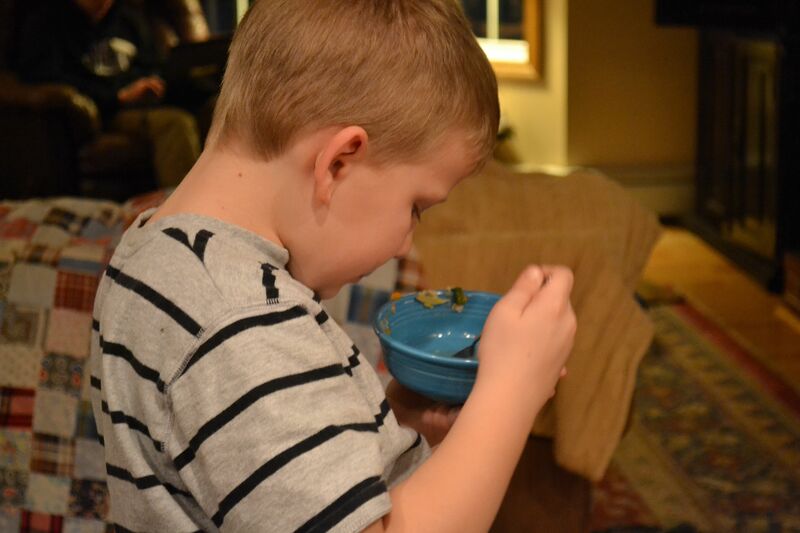 Darling Caleb, scraping up the last of his (third) bowl of soup made by mother. God bless all those who pass through here today, I pray that you have a gentle, serene day in the Lord, no matter what trials come your way. You are loved. 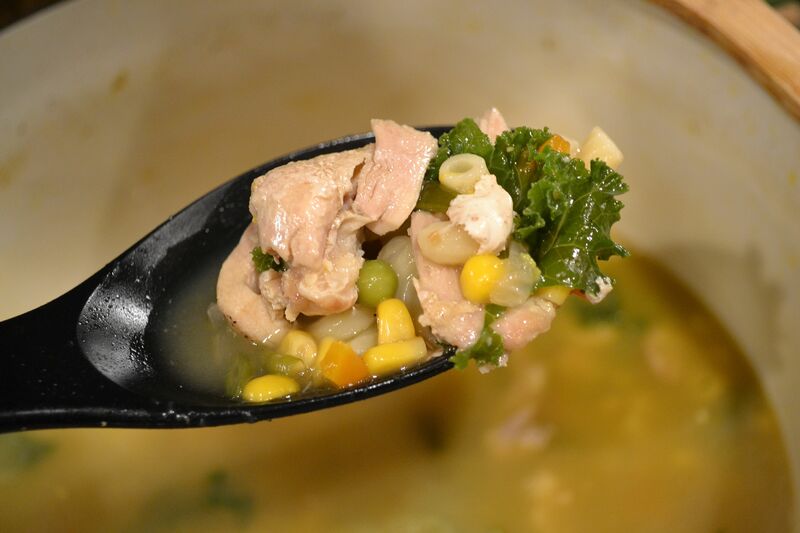 This entry was posted in faith, home, it's the little things by Shanda. Bookmark the permalink. Great quotes today. Love the fact that we have the Word of the Almighty GOD…and many men of God who have shared their wisdom over the years…and we search and find the nuggets that have been written down. Are those crochet covered rocks in that one photo???? Love doing those. I have them here on my desk. Ivory and red crochet cotton ones. Our life is a gift to be cherished. Thanks for your post today, Shanda. Thanks for the encouraging post today. Hope you are having a great day today! Ah yes, to lift up our souls in prayer. Sweet hour of prayer, that calls me from a world of care. He is our harbor and shelter. He is constantly wooing us into fellowship with Him, and His heart. What love! Laughing over Jacob. Beautiful buds, how I eagerly await springs arrival! That cornbread looks divine! (Thanks for the recipe). I’ve started blogging again recently (been kind of a distractingly rough year) and I’m so glad to be following you again (I’m Bamsniko22407/Hannah from Xanga days). I always enjoyed your photos and updates. You are such a lovely and kind individual with such a sweet family. It has been a while since I last read you blog (or any blog for that matter, raising 8 kids under the age of 9 keeps you busy!) but every time I do I am reminded why I enjoy it so often. That soup and those rolls look amazing. You should come up with your own cook book, I would totally buy it! Love this post. We are on the same spiritual vibe this week, I also have quoted Spurgeon and have been reading in Ephesians. 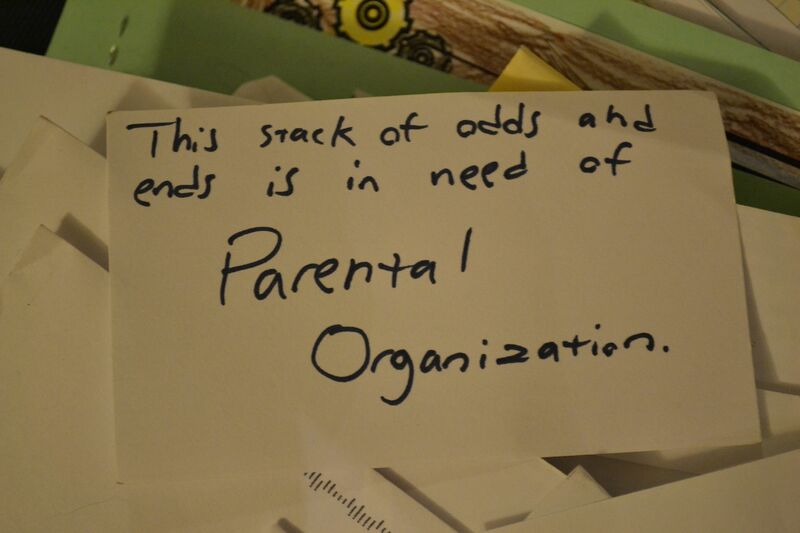 The note from Jacob cracked me up. 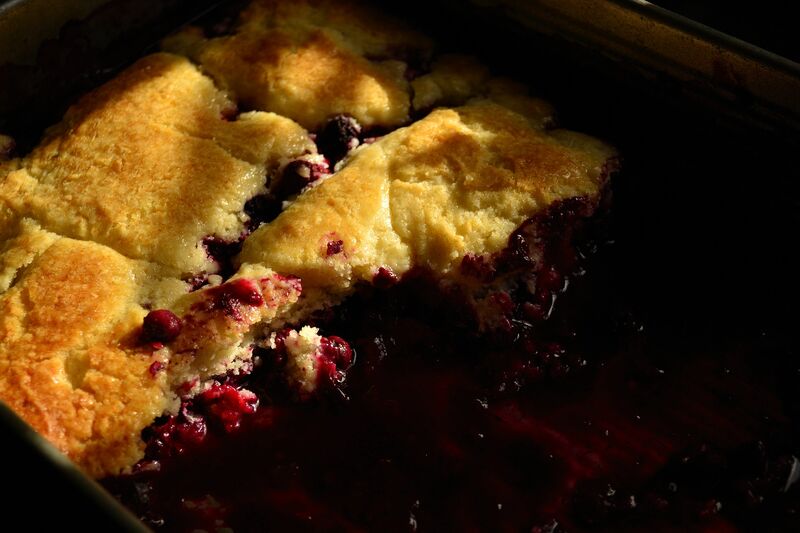 Now you have me hungry for a cobbler. Just wanted you to know I made your rolls last night. The fy loved them! I hope you are well. Missing your posts this week. God bless. Hi Christina, my laptop died or I would surely be blogging. Using the phone to reply. So glad you liked the roll recipe! Thinking of you and pray everything is okay. Hi Pam, thank you friend. We are all okay here. I was struggling a little emotionally but am doing better after visit to the doctors. Rich and kids are good, too. Also, my laptop broke so I cannot blog–I miss it–hope to have a new computer soon and I will be back. Hugs!! I love that yours is a Christian family and you know you can seek solice in the word. 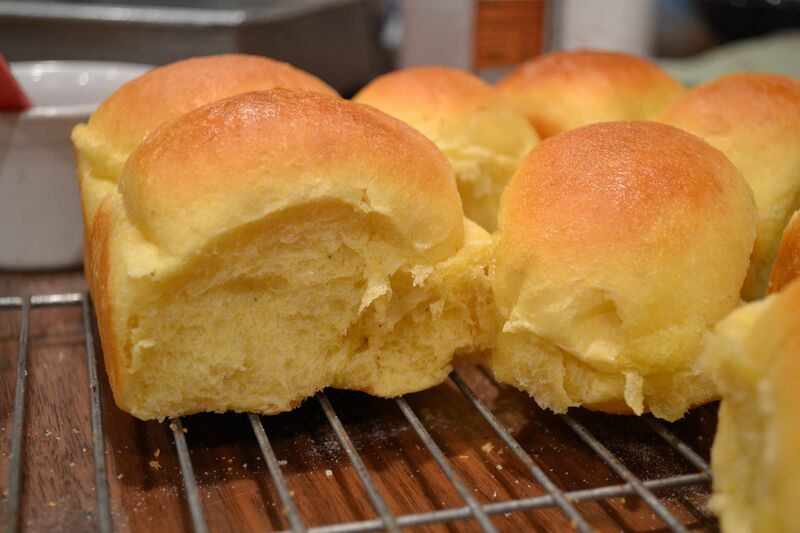 I have never heard of cornmeal dinner rolls before, but they look soft and wonderful. The cobbler too. Blueberry is one of my favorites so here at 1am I am now salivating thinking of a sweet yummy dessert. I need to turn off the laptop and just go to bed. I hope everyone is doing ok in CT, with all the cold. Even here in NW Florida we are in the 20’s so I KNOW you are cold up there. Shanda, glad to know you’re ok. I’ve checked a few times to read your blog and was concerned about you! Isn’t it wonderful to know how many sisters in Christ love and care about you? God has given you the gift of encouragement and I’m so thankful to be able to get to know you here. Blessings!! Thankful all is well! I’ve been checking, actually it felt like stalking ~smile~ each day. I too was wondering about you — glad I read through these comments and discovered why you haven’t been posting. Hope you are feeling better and soon get your new computer. Blessings!